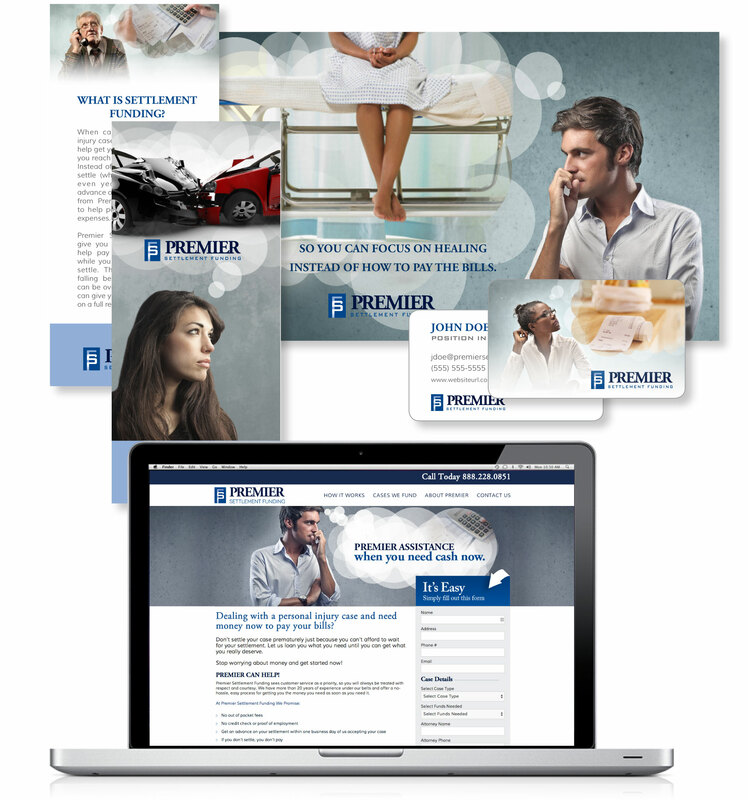 Premier Financial Services, a settlement funding firm that provided economic pre-settlements on pending personal injury lawsuits. Concepted a new logo design and matching branding standard. Concepted campaign and implemented across all platforms which included the company website to business cards, billboards to hand-held printed marketing collateral.